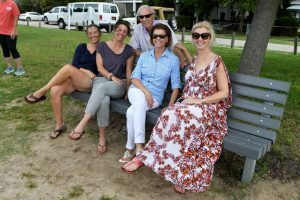 From left, Ashley Hutchens, Diane Bensch, Mickey Faulk, Angie Faulk, Amy Welton, on a bench at South Channel Park in Wrightsville Beach that the family donated on Tuesday, July 17. 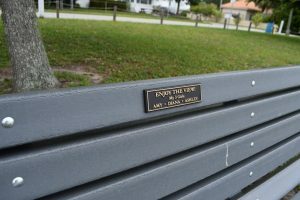 Photo by Catie Dull. Charles Mitchell Welton was memorialized on Tuesday with the dedication of three benches at Wrightsville Beach’s South Channel Park. 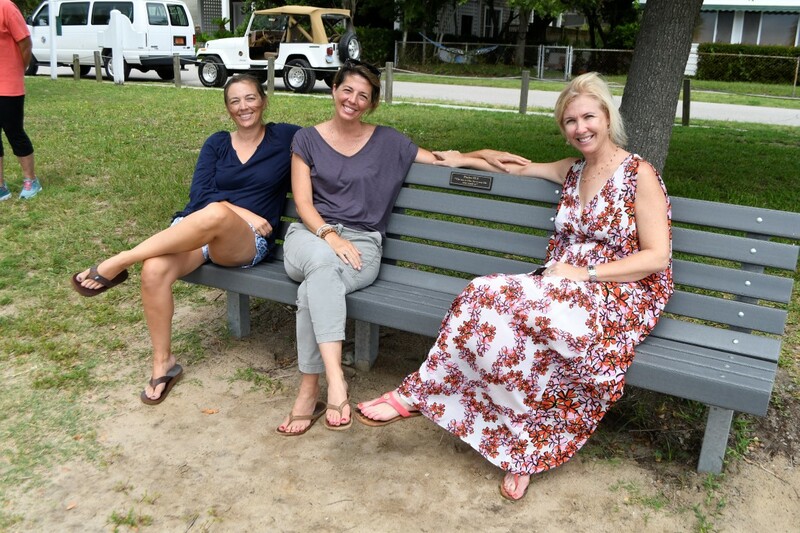 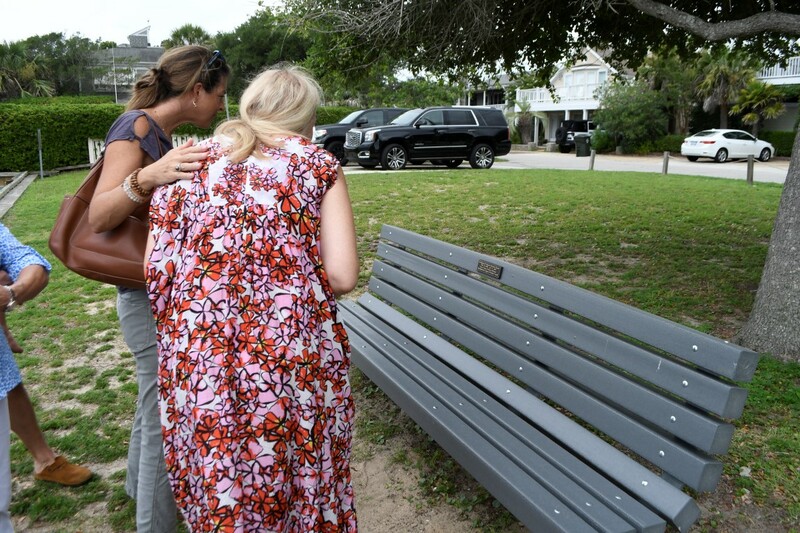 The Parks and Recreation department of Wrightsville Beach installed the benches on behalf of Mickey and Angie Faulk, Charles’ grandparents, after they donated more than $3,000 to the town for the upgrades. The Faulks, accompanied by other members of their family, surprised their daughter and Charles’ mother, Amy Welton, with the benches on Tuesday morning. 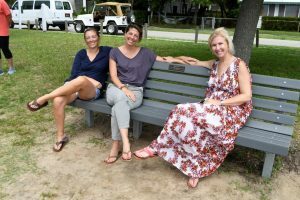 In speaking about why he wanted to donate these benches, Mickey Faulk said: “Wrightsville has given so much to us and we just wanted to give back to it. 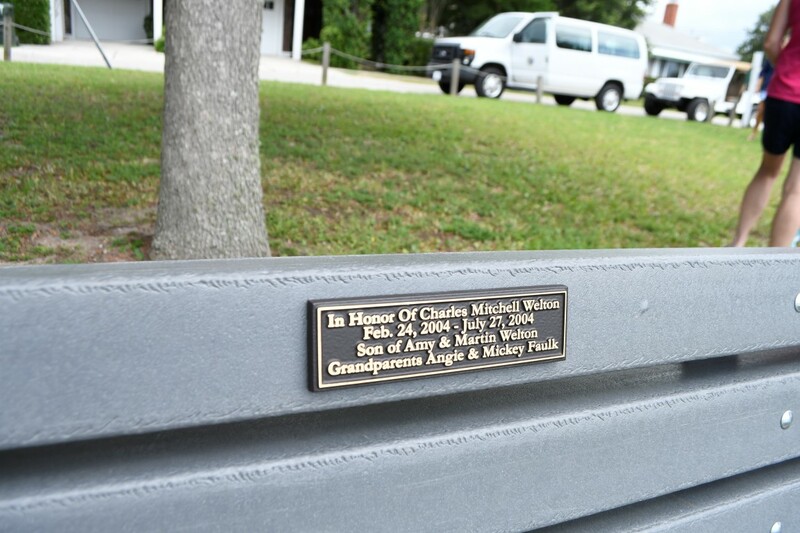 We wanted to teach our grandkids that you don’t want to just take, you always want to give back.” Charles was five months old when he passed away due to heart complications in 2004. 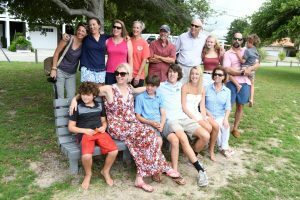 “We will always count him as one of the grand kids,” Faulk said.